"I want to let you know how much I am enjoying your 'Of Course You Can Learn to Play the Fiddle' book and CD. ...I can't believe what a difference it makes to be able to read music as I play. ...I am practicing from 4-6 hours every day and with your book and CD, it's fun." - Mary Ellen Anthony, Murphy, North Carolina. "My students and I are enjoying both of your books: 'Of Course You Can Learn To Play The Fiddle' and 'Of Course You Can Learn To Read Music For The Fiddle'. I have been searching for material to supplement individual lessons for some time. Most Books are full of errors, and can confuse and terrify a beginner! Your books cover all of the basics in a clear, humorous, and non-threatening manner. They make an excellent resource for beginning as well as experienced players! Congratulations on a job well done." - Louise Van Gorder, Bristol, Connecticut. Introducing the basics of fiddling through the in-depth study of twelve tunes (jigs, hornpipes, reels, and waltzes). Proper hand positions, finger charts for scales and arpeggios, reading exercises, and bowing techniques are included. The CD, with fiddle in the left channel and guitar in the right channel, contains tuning, scales and arpeggios, all tunes played at both half and full speed with guitar accompaniment. 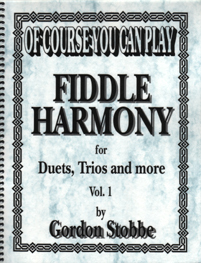 This is the second book in the "Of Course You Can..." series for beginning to intermediate students of the fiddle. 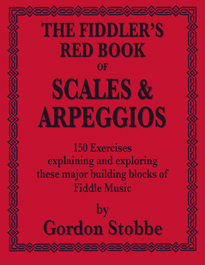 This book features an in-depth study of 20 fiddle tunes in 5 keys. Tunes include waltzes, jigs, reels, polkas, rags, a hornpipe and a strathspey. Each tune comes with its own page of exercises covering scale, arpeggio, bowing and rhythmic aspects of the tune. Also included are scale and arpeggio diagrams for all keys featured in the book as well as a discussion of accents in fiddle music. The 70 minute CD, with fiddle in the left channel and guitar in the right channel, includes all exercises, all tunes played slowly, and all tunes played at speed. 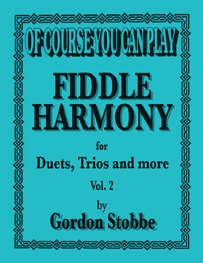 The third book in the "Of Course You Can..." series features an in-depth study of 20 fiddle tunes in 8 keys suitable for intermediate players. Tunes include waltzes, jigs, reels, two-steps, a hornpipe, a fox-trot, a Métis tune, some tunes from Scandanavia and three tunes with harmony parts. Each tune comes with its own page of exercises covering scale, arpeggio, bowing and rhythmic aspects of the tune. Included are scale and arpeggio diagrams for all keys used in the book as well as a discussion of bowing techniques. The accompanying 70 minute CD, with fiddle in the left channel and guitar in the right channel, includes all exercises, all tunes played slowly, and all tunes played at speed. For players of all levels. Covers all aspects of reading. Includes detailed descriptions of basics, note naming, note values, time signatures, key signatures, intervals, scales and arpeggios in six major keys, and includes pages of skill-building exercises in all of the above. Also included are eighteen original practice compositions. Excerpts of this book have been featured in Fiddler Magazine. 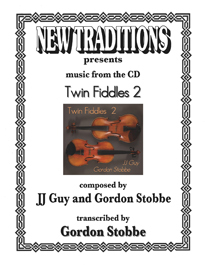 Twenty traditional, well-known and new fiddle tunes harmonized for 2, 3 and more players. Introduces small and large fiddle groups to the wonderful world of harmony. Guitar or piano chords are included for all tunes and cello/bass parts for several tunes. The accompanying 64-track CD showcases each tune in its entirety as well as each fiddle part on its own track. 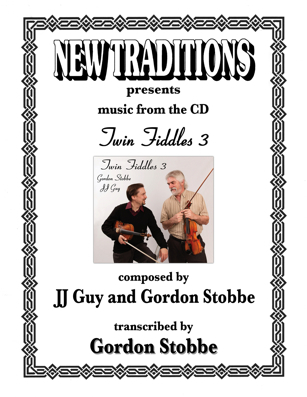 Twenty more traditional, well-known and new fiddle tunes harmonized for 2, 3 and more players. Guitar or piano chords are included for all tunes and cello/bass parts for several tunes. The accompanying 65-track CD showcases each tune in its entirety as well as each fiddle part on its own track. This anthology of classic old-time fiddle tunes is taken from cross-Canada jam-session lists compiled by fiddlers, accompanists, and fans. This collection contains seventy standards including regional favourites from Western Canada, the Ottawa Valley, Quebec and the Maritimes. This book comes with or without CD. The CD is also available in jewel case. This book, with all bowings marked, is now available in both PDF file format and laminated paperback. A continuation of Volume 1 with a special section of fox-trots most requested by dance fiddlers. This book comes with or without CD. This book with all bowings marked is now available in PDF file format emailed to you upon purchase. The 'bowing marked' version of this book is only available in PDF format. The next book in the coast to coast anthology of Canadian fiddle hits. This book contains 68 classic old-time traditional fiddle tunes as well as tunes written by some of our great composers. This book comes with or without CD. of interest to owners of the Canadian Old Time Fiddle Hits books. No more need to carry an extensive library to the jam session, dance or gig. 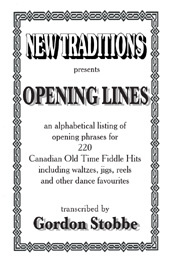 Opening Lines is a spiral bound 5 1/2" x 8" fiddler's reference of opening phrases to all the tunes in Canadian Old Time Fiddle Hits volumes 1, 2 and 3. (waltz, jig, reel and other), Opening Lines provides a quick and easy tune reference. A must have for the fiddler on the go. 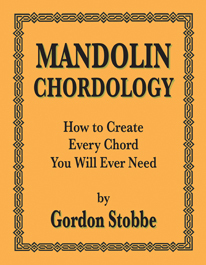 A Mandolin Chord Book that's not about memorizing hundreds of chords. This book uses three basic chord forms to understand how chords are built, transformed and hooked together to make any melody more exciting This book comes with an instructional CD. As you play through the 150 exercises in this book you will develop a close friendship with scales and arpeggios of important fiddle keys. Identifying phrases, memorization, speed, improvisation, learning by ear, musical phrasing and understanding chords : conquering this list of the joys of fiddling takes practice, passion and direction but it begins with two main building blocks of melody -- Scales and Arpeggios. The aim of this book is to develop some musical strategies to help us keep playing even when we don’t know the tune. We need some basic music theory to understand how things fit together and then we need a wide variety of songs with several examples of how the theoretical fits with reality. How can we use a scale to fit over a melody? An arpeggio? Two note chords? What kinds of rhythm ideas can we use for different kinds of tunes? 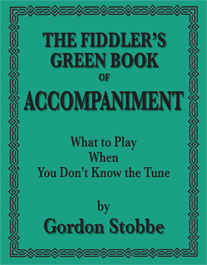 The answers to these questions and more can be found in “The Fiddler’s Green Book of Acocmpaniment : What to Play When You Don’t Know the Tune" . 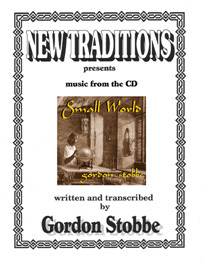 The accomanying CD includes all exercises and tunes. 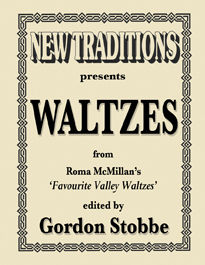 In 1983 the Ottawa Folklore Centre published a book of waltzes transcribed by well-known and highly respected fiddler and teacher, Roma McMillan. "Valley Waltzes' represented a lifetime of collecting, teaching and anthologizing traditional dance music. 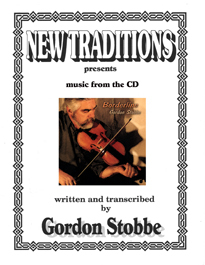 Several tunes in Roma's collection have been previously published in the New Traditions books "Canadian Old-Time Fiddle Hits - Vols. 1, 2 and 3. Her collection has long been out of print and unavailable to new fiddle generations. This volume re-introduces some of these tunes while paying tribute to their original collector, Roma McMillan and their original publisher, the Ottawa Folklore Centre. This collection of 29 tunes has been edited, revised and in many cases harmonized for two and three fiddles. The accompanying CD has all 29 tunes with guitar and piano accompaniment. New Traditions. 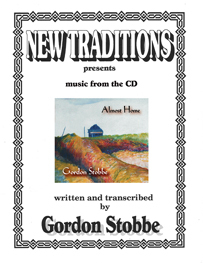 Includes full transcriptions, chord charts and some harmony lines for 20 original fiddle tunes. This book only available in pdf format. When we receive your order, the eBook will be emailed to you. 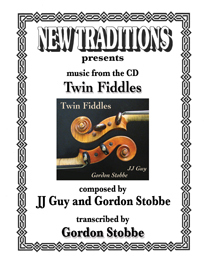 for 22 original fiddle tunes. Seaforth Waltz. 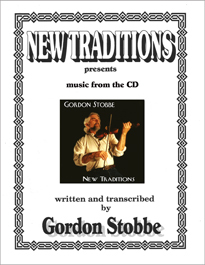 Includes full transcriptions and chord charts for 26 original fiddle tunes. 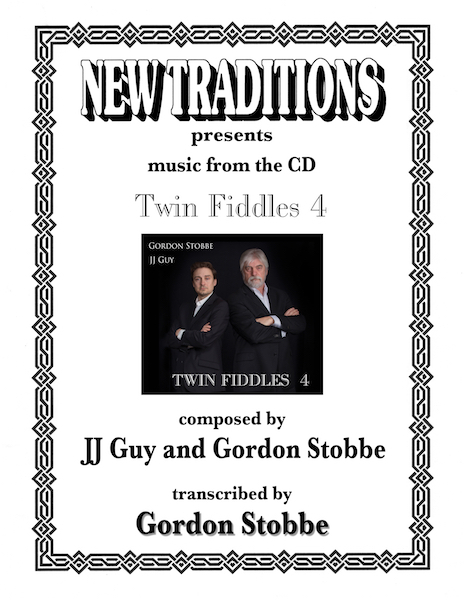 for 21 original fiddle tunes. for 15 original fiddle tunes. 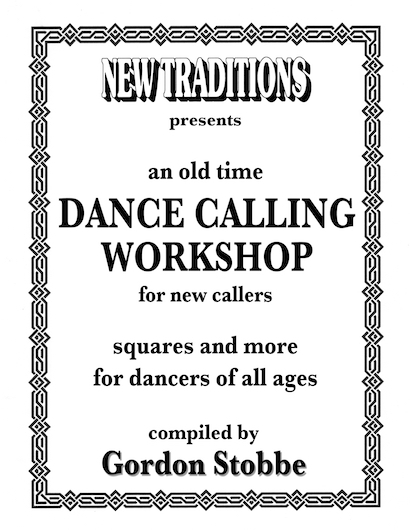 A dance calling workshop for the novice caller, designed to inspire people to learn to call organized dances for friends, neighbours and families. and sample calls to understand the timing. 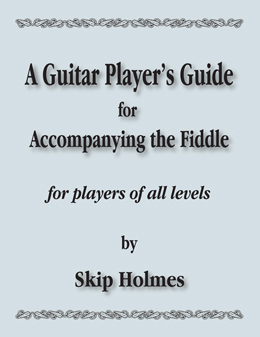 A new book by guitarist Skip Holmes for guitar players wishing to specialize in guitar accompaniment for the fiddle.